This is probably the most common type of flow-induced vibration and is caused by oscillating flow separation from a structure. Circular cylindrical structures are particularly susceptible to VIV. Breaking the circular or cylindrical symmetry of the structure, by using strakes for instance, is an effective way of reducing the amplitude of vibration and the resulting stresses. We have experience designing process instrumentation, stacks, and offshore structures to withstand the effects of VIV. These vibration phenomena occur when the motion of a structure generates fluid forces that reinforce the vibration. All noncircular structures are susceptible to galloping and flutter. Examples include ice-coated power lines, aircraft wings, and marine structures with noncircular cross sections. 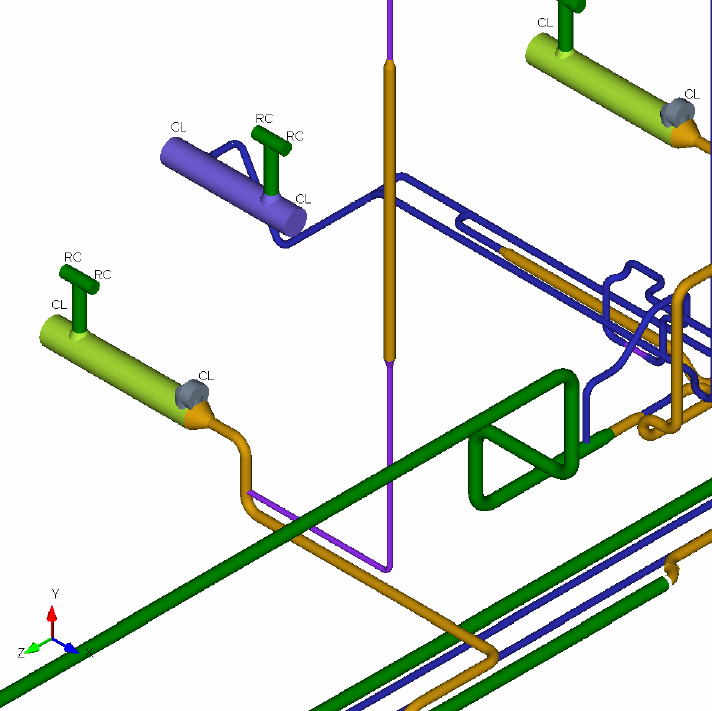 We have experience designing aerodynamically shaped piping structures for galloping. 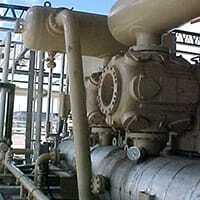 This type of FIV affects tube arrays in cross flow and is an important cause of failure in heat exchangers. Motion of one tube generates a pressure field on the adjacent tubes which in turn causes those tubes to oscillate around their equilibrium position. In extreme cases this self-reinforcing motion can lead to high stresses at tube sheets and baffles, resulting in rapid fatigue failure. We have experience designing arrays of circular and noncircular tubes to resist fluid elastic instability. A critical issue in the fatigue analysis of instruments and structures is understanding the role of damping in the response of the structure. Peak stress levels at resonance are inversely related to the damping ratio. Therefore, doubling the damping approximately halves the peak stress. Since fatigue life of most metals is proportional to the fourth power of stress (or higher), it can easily be seen that doubling the damping can increase the fatigue life by more than an order of magnitude. We provide testing services that can determine the actual level of damping present in complex structures, probes, and instrumentation packages.